Want to bet that before the year is over, we might just have no need to actually try on clothes when we go shopping? If the setup that Russian company AR Door ((AR Door)) is successful in its endeavors – and I don’t see why it won’t be – we could very well see virtual fitting rooms everywhere. The idea is simple and not new. In fact, I seem to remember a teeny bopper movie from ages ago where the lead character used a similar system. She would merely use her computer to try on combinations of clothes to see which looked good. 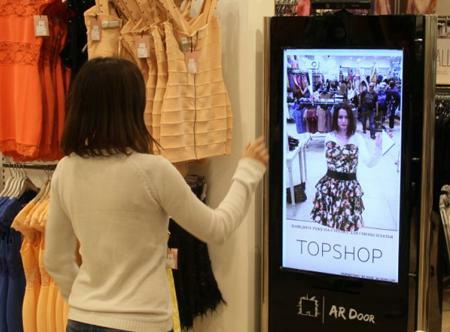 See the virtual fitting room in action. I have to say that this is a brilliant application of the Kinect, which I thought was silly when I saw some people playing with it during a tweet-up. I can already imagine the convenience that this setup will bring! Hackers may not be the proper word to use, but there is no doubt that hackers are clapping their hands with glee with the recent announcement from Microsoft. The software giant recently announced that it is going to open up the playing field by releasing a software development kit sometime in spring. 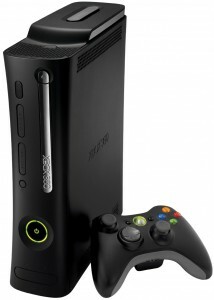 This will allow software developers to play around with the Kinect on a deeper level than the average user. According to Microsoft, “The intent of releasing a “starter kit” for application developers is to make it easier for academic research and enthusiast communities to create even richer experiences using Kinect technology.” Furthermore, with the release of the software development kit, people will be able to access “deep Kinect system capabilities such as audio, system APIs, and direct control of the sensor”. At first, the software development kit will be targeted at amateurs only. Those who want to jump into the fray for commercial purposes will have to wait a little longer for the commercial release. Just how long – there is no word as of yet. Personally, I will never be able to take advantage of this software development kit as I have no idea what to do with it, but I am sure there are enough “hackers” out there who cannot wait to try and see what they can do with the Kinect. If Microsoft can be believed, the Kinect is the fastest selling gadget of all time. It really is not that surprising as it really upped the ante after the Wii revolutionized the way we play our games, is it? You might know it by another name – Project Natal – but Microsoft’s new hands-free motion control system has now been announced to the public. 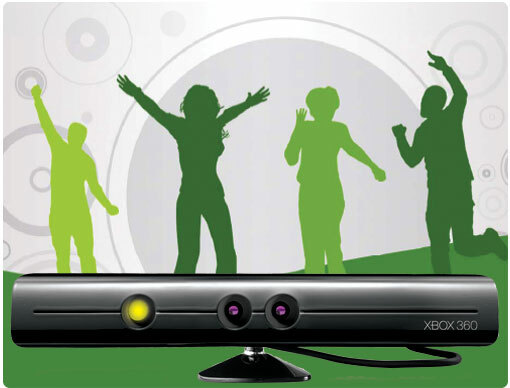 Its new name is Kinect, and is supposed to change the way we play games forever. Kinect was shown off at a glitzy event alongside compatible games, which support the new hands-free interface and, in some cases, the facial and voice recognition capabilities. These ranged from jumping and flying games to a yoga simulator and Star Wars shooter, in which players control a virtual light sabre and use hand gestures to control action on the screen. There was also a virtual pet, which can be controlled and played with using Kinect. Microsoft says it will release the full details of its games at another media event on 14 June. The official unveiling was supposed to be during the E3 expo, but I guess Microsoft wanted to pre-empt its competitors. After all, Sony and Nintendo are pretty much ahead of Microsoft in this arena. So when are we going to see this new thing in the market? They say by the end of the year, but who really knows?